Crushes Pails, Buckets and Filters in seconds. Caution: All containers must be unsealed and open when crushing. 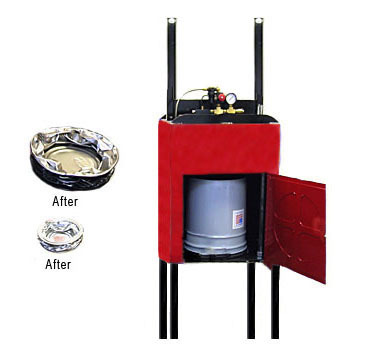 This Crusher / Compactor is not designed for crushing items or containers that may shatter (such as glass) and/or contain volatile vapors or emissions. Pail Capacity Pails or buckets up to 15" in height and up to 12" in diameter. Filter Capacity Filters up to 15" in height and up to 9" in diameter.